1 QUESTION: At what (young) age did you start getting the urge/itch to write, and did you have ambivalent feelings about this, then? Yemisi Otasanya:I got the first urge to write at the age of 8. My mum is the very traditional type and every Saturday was general house cleaning. So, we usually had so many chores to handle. To take my mind off gardening and other chores (especially washing dishes), I would engage my mind in different fantasies. I would then create fairy tales in my mind with fiery dragons. Would imagine myself on space missions, as a time traveller, as a war hero in 11th century British setting, during Robin Hood’s era. I also spent a lot of time reading biographies, history, fairy tales (written in both English and Yoruba). My mum made sure we read some fantastic Yoruba tales like Ajantala, Eru o bodo, Igbo Orumale. I also spent some of my savings on books by Sidney Sheldon, John Grisham, Harold Robbins, Jeffrey Archer, Stephen king, Frederick Forsyth. My dad’s small library had Sunset at Dawn, Things Fall Apart, World Atlas and Geography books, tons of weird books, gigantic dictionaries, Bibles and Korans. I spent most of the holidays reading. By the time I was done reading a book that succeeded in bringing up tears to my eyes, I had the strong urge to write like the author and make someone to also cry tears of joy. It was almost like one was inside the book. 2. Which/what writers inspired you most as a child/young person? Who were your favourite writers then?How did you feel seeing your first published book - in print forthe very first time? And how did you react. Yemisi Otasanya: I was inspired most by Wole Soyinka. I came across his book‘The Trails of Brother Jero’ and ‘The Lion and The Jewel’ in Literature Class. I prayed that God would grant me the opportunity to meet him in person and that prayer was answered. I sat a row behind him at a wedding. My seat was just behind his. I never got the courage to speak with him. Wish I could go back in time. I also loved Achebe’s book ‘Things Fall Apart’. It felt great to see my first book ‘Perfect Body Perfect Baby After Delivery‘ in publication. I said to myself, “now I’m an author and next is to be a best-seller.” It felt even better when some of my readers asked questions and their comments were superb. 3. Do you know about pioneer female writers in Africa? Like Flora Nwapa, Zulu Sofola, and Miriam Tlali (South Africa)? They had to fight against many odds to get published in those days...do they inspire you? Yemisi Otasanya: I am yet to read their books. I’ll have to do some research. 4 By the way, who are your favourite female African writers? And whatabout Eurocentric female writers who excite you? Yemisi Otasanya: None at the moment. 5. Till date, Wole Soyinka (since 1986) remains the only black African writer to win the Nobel Award for Literature. What are your thoughts about this? Yemisi Otasanya:A well-deserved award. I would give him the award over and over if it was within my power to do so. The Nobel Award for Literature is not just about being an author, but one that has contributed to the development of mankind. Wole Soyinka has contributed immensely to the development of literature in Nigeria and Africa as a whole. His works in poetry, playwriting, fiction and non-fiction were the foundation of most of what we have today in Nigeria. Writers like Chinua Achebe and Buchi Emecheta are also deserving Nobel laureates. I must nevertheless say that we have had equally superb authors since then. I believe the search is still on and the time will come, and is already here when an author of pure African descent will receive the grand award once again and this time, more glorious than before. I’m sure it will happen sooner than we hope. 6 What are your future plans as a writer - maybe your approach/theme to your next book? 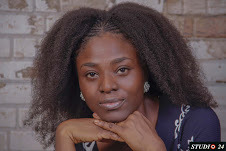 Yemisi Otasanya: My future plan, which is more like my author vision, is to be a best seller, and the plan is to travel the road that would take me there. My next book will be non-fiction. It is about the history of a great king of England who ruled between the late 15th century to the early 16th century. His work played a unique role in shaping the world and in the development of America. In short terms, his work has played a part in forming our politics, culture, faith and character. Apart from being a great King, he was and is still the best seller till date. Much is not known about him. He was also the King of France and this is a book I cannot write without delving into fluent French. Thus, I have enrolled for a French class and I believe I might have to travel to some of the sceneries just to get a better grasp of the life of this King. So inspiring! I'll love to read your works.